I've done the back and half a sleeve of my ravelympics sweater, so getting along ok with that......... I've got two days off now, so hoping to make some good progress before I'm back to work on monday. That's gorgeous. 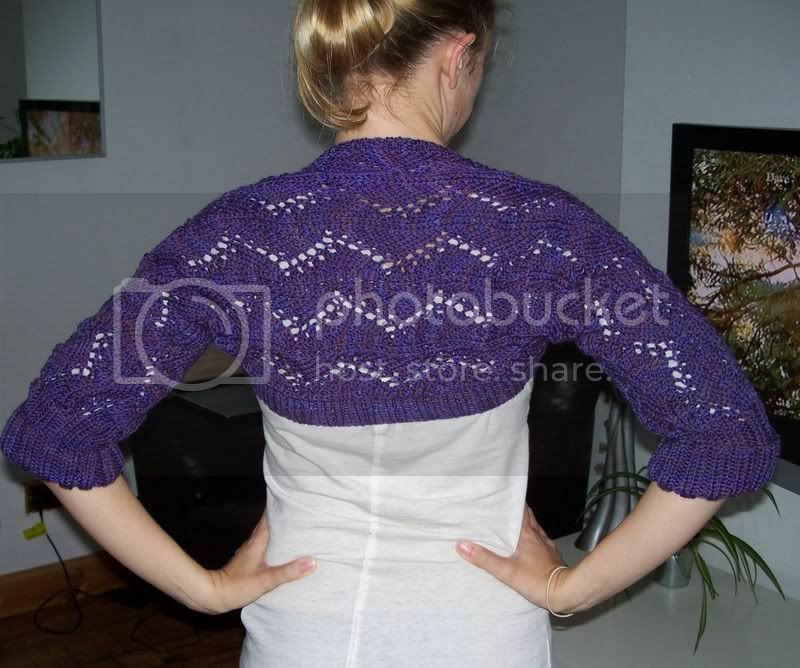 I really like shrugs anyhow but the colour and pattern are fab.